The Ruling Patriotic Front (PF) has suspended its Deputy Secretary General Mumbi Phiri for a period of 30 days with effect from 24th March following allegations of gross misconduct and impropriety leveled against her arising from her conduct at a party fund raising event held in Chilanga District and graced by the Party President Edgar Lungu. 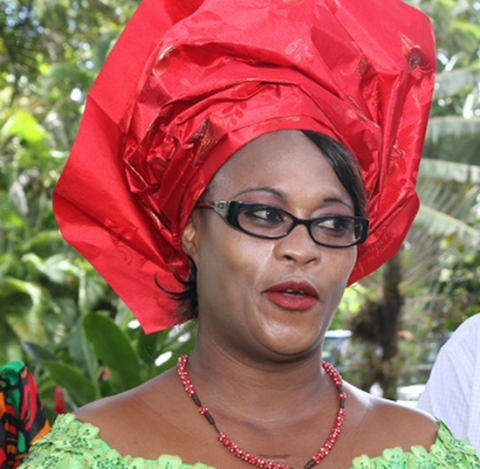 Announcing the suspension this morning at a PF media briefing, Party Secretary general Davies Mwila said that Mrs Mumbi Phiri was, on 5th March, requested to exculpate herself for her bad behavior that cause embarrassment to the party president and the party membership at large. According, to Mr Mwila, Mrs Phiri was further asked why disciplinary action should not be take against following the allegations and given 7 days to respond. Mr Mwila said that, in her response, Mrs Phiri admitted her wrongs and asked for forgiveness, adding that she maintained the same position during the disciplinary process and was remorseful through out the process. Mr Mwila said that, while Mrs Phiri deserved stiffer sanctions, the PF central committee took into consideration that she was the first time offender and committed loyal member of the party. Mr Mwila further said that the PF central Committee hoped that Mrs Phiri would use the 30 days to reflect and learn. Mr Mwila further all leaders in PF that there will be no sacred cows. Mr Mwila did not, however, disclose the full nature and details of the misconduct that Mrs Phiri committed.